Que ce soit dans une tente, dans un amphithéâtre, dans un arena, dans une petite salle ou en festival, Radiohead prend soin de la scène. Rien n’est improvisé, les meilleurs techniciens sont requis pour que le show soit total. Au fur et à mesure des années, les équipements se sont spécialisés, ont même été conçus et construits à la demande ! 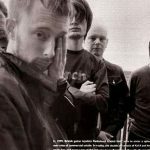 Début 1997, Radiohead a prévu une longue tournée, mais dans des salles modestes. Le succès est là, mais il est encore timide. La sortie d’OK Computer va tout bouleverser, on va au dernier moment changer les lieux de passages pour des zéniths. Les places s’arrachent un peu partout, il faut donc suivre niveau infrastructure ! If you could go back in time to witness one live show, which one would it be? And why? 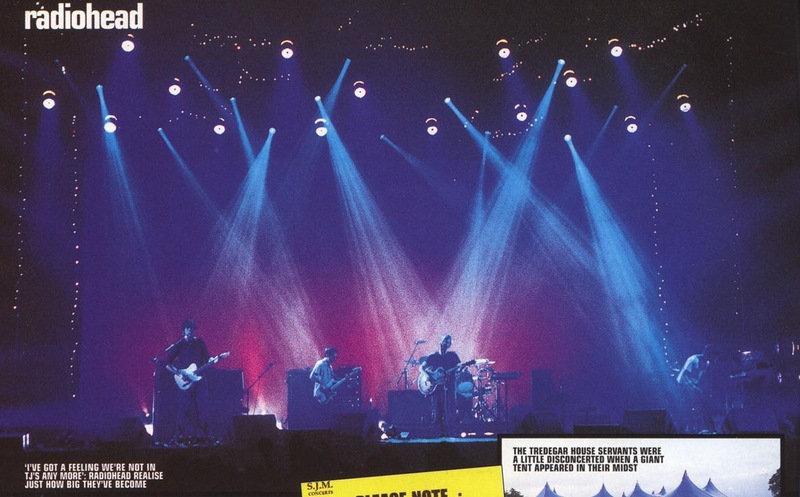 Probably Radiohead at Glastonbury in 1997. My recollection of the Radiohead show is somewhat different to most people. It is often mentioned as one of the greatest gigs of all time but I had an utter nightmare on my hands. The desk dumped chunks of its memory as the band walked on stage; a lot of the lights were not working properly and it was an incredibly stressful experience. However, everyone I spoke to thought it looked amazing. I thought it was awful. I’d quite like to go back and watch that gig from the audience, although I’m not sure I would want to ever relive that original evening. 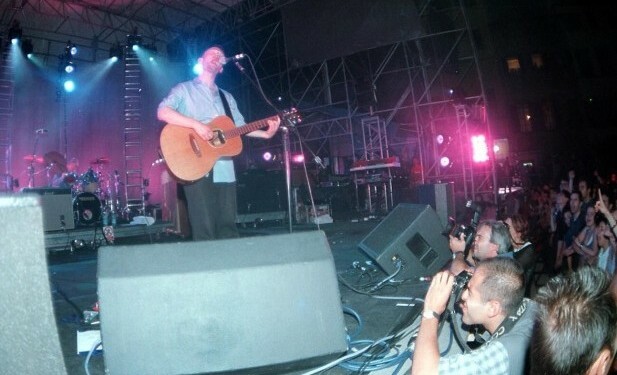 Courant été 2000, Radiohead fait une pré-tournée en Europe pour tester ses chansons, dans des lieux bien plus intimes que ceux connus en 1997 : des théâtres antiques (Arles, Vaison la Romaine (annulé au dernier moment))… de petites et très jolies places (Santa Croce à Florence)… des petites salles (le Grand Rex, à Paris)…. Pour la seconde partie de la tournée, après septembre 2000, le groupe a une idée de fou : tourner dans une tente géante, d’une capacité de 10 000 places, avec son propre équipement bien calibré, qu’on installerait à la périphérie des grandes villes, au lieu de s’installer dans des salles « institutionnelles » et parfois mal conçues pour des concerts. Cela permettrait également, et surtout d’ailleurs, de s’affranchir des sponsors. La lecture récente de No Logo de Naomi Klein les a convaincus : La tournée se fera donc en tente Kayam bleue. D’un point de vue technique, on en apprend beaucoup sur le site Rudi Enos Design qui nous détaille la tente et sa scène,notamment en images: la structure Kayam (tente) est distribuée en Europe par Atticbest Ltd et dans le reste du monde par Rudi Enos Design. Pour ses dates dans 5 pays, le groupe a utilisé 3 structures Kayam. Radiohead avait testé les tentes à Wales et à Manchester auparavant. Un article de l’époque, rédigé par John Arris pour Select revient sur un détail amusant : malgré tous les efforts du groupe pour s’affranchir des sponsors, on ne sert que de la Budweiser, dans des gobelets Budweiser ! The wait, however, is not the main issue. The bar, as it turns out, is selling nothing other than Budweiser [actually, you can also get Virgin alcopops, but that’s hardly the point]. The beer is served from the can into big red cups – and the cups, of course, are branded. What a dirty Budweiser logo. Select doesn’t want to be picky or anything, but this really doesn’t seem right. So, if only for the sake of conversational sport, we sidle up to Ed O’Brien at the brief aftershow soiree. it’s being held in an old farm outhouse that rather suggests the kind of room where you once hadbreakfast on a geography field trip. Everyone, incidentally, is drinking bottled Krononbourg. So, Ed. Why are Budweiser doing all the beer? No, you can only get a Budweiser. In a branded beer cup. L’aventure fera long feu et en 2001-2002, Radiohead va tester de nouveaux espaces : les amphithéâtres si possible en Europe, les lieux familiers (South Park à Oxford pour un concert exceptionnel en juillet), et toujours les grands complexes aux Etats-Unis à défaut de petites salles. McGuiniess trucks have been working with Radiohead since the year 2000, so I inherited them, but they do a great job, they’ve got great drivers. 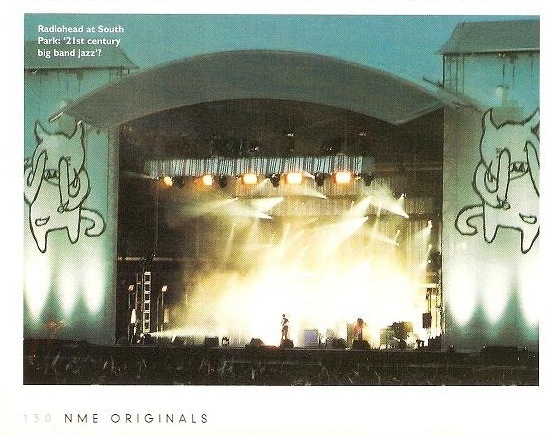 Pour le 7 juillet 2001 à Oxford, le groupe a prévu une scène digne d’un festival. Sous une tente ou pas ? eh bien non ! On apprend sur un article de LSI online qu’Andi Watson, le designer de l’éclairage de scène, a fait appel à la technologie Mac Wash depuis 2002 sur la tournée européenne (il testait alors le Mac 2000 Wash). A priori, la collaboration s’est arrêtée après 2006, ou il a été fait le choix de faire confiance à Kinesys. Pour la sonorisation des concerts sur le continent américain, Radiohead fait confiance depuis longtemps (au moins 2003) à la société de production new-yorkaise (de Red Hook pour être précis) Firehouse Production qui fournit les consoles, le système de monitoring, les microphones… Pour l’Europe, c’est Adlib qui fournit la même chose (on en est sûr pour 2008, on le suppose pour avant). En 2004, la société a été nommées au TEC awards (TEC = Technical, Excellence and Creativity awards!) pour la tournée Hail To The Thief. 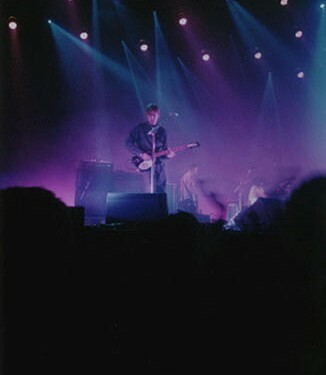 C’est à la société « Automation lighting », spécialisée en fourniture & location de matériel d’éclairage de la scène, que Radiohead a fait appel pour sa tournée en 2003. 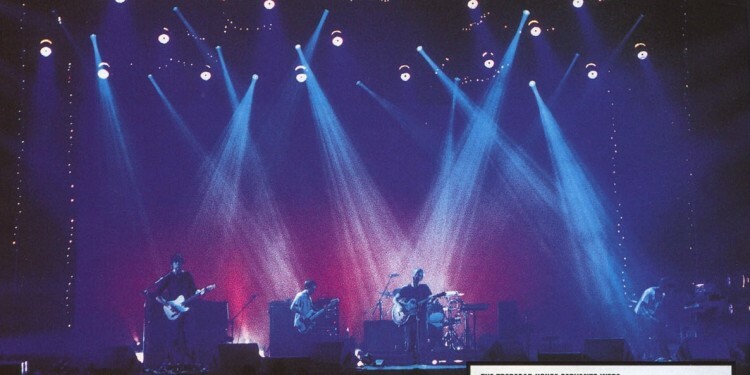 In 2003, our rider stated that our lighting power requirement was 600 Amps per phase. En 2003-2006, le groupe a commencé à se passionner pour l’écologie et à essayer de réduire les émissions de carbone… Il a donc été demandé que les camions roulent au biofiul. Although our report suggested that trucking wasn’t as responsible for our carbon footprint as other areas, we can still trim its impact,” commented Young. “Loading a truck too tightly and heavily, or too lightly, will prove uneconomical, so we’re careful to strike a good balance. En 2004, la société Neg Earth Lights spécialisée dans la fourniture d’éclairages de grande ampleur, notamment de tournée a été sollicitée pour ses dates en Europe. Le contact du groupe est Dave Ridgeway, à Londres. L’équivalent américain est Upstaging Inc. Le groupe traite affaire avec John Bahnick à Chicago. 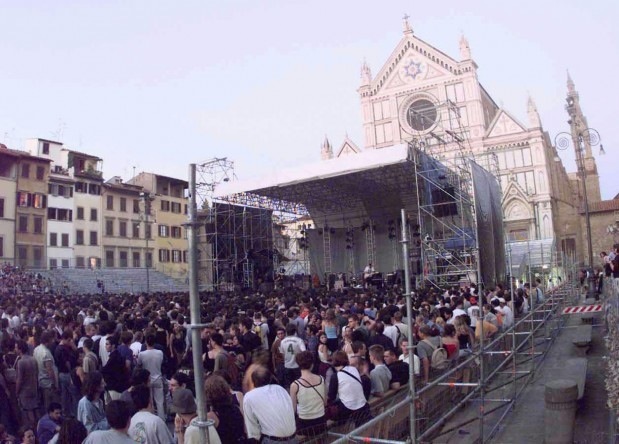 Every item on stage has either a microphone or a direct connection allocated to it, in the case of Radiohead there were 64 inputs from the stage to the control systems. All the inputs from the stage go to a splitter box, often referred to as the stage box, this send the on stage information to 4 different sources, one going to FOH (front of house) where the information from stage is mixed for you, the audience, and is controlled by the mighty Jim Warren, who has been with the band since their very early days. The second send goes to me for the on stage mix. The third is used for the on stage technical mix and the forth is for external sources, for example, if the show is going to be recorded or broadcast on radio/TV as was the case at the UK V festivals this summer. Overhead Hi Hats/ Crash, Shure KSM32. Kit Ambience, a Shure MC50b, and placed in the middle of the drum kit, a nice ambient sound, good for the in-ear drum requests ! Mini Snare and Hat, Shure SM57 Wireless. Thom uses a Shure Beta 87 with black pop shield. It is a microphone designed for very close proximity use, the pop shield is used to avoid direct contact with the metal end of the microphone. By employing the foam shield, Thom can sing very close to the mic with comfort. Therefore producing a loud and clear vocal sound. I reproduce the same consol settings for the spare vocal, the piano vocal, and the Rhodes piano vocal. Phil uses a WCM15 vocal headset microphone, which can be converted to wireless if required. Carry on vocals are at present : A beta 87 Wireless mic for Ed on There There, and a beta 87 wireless for Thom when he plays the Mini kit on one of the new songs ! The upright Piano has caused more problems than anything else on stage over the last 6 years. Everything possible to go wrong has, we even nearly tipped it over once ! A multitude of different microphones have been tried and then discarded. This tour heralds a new approach, the new piano has a stereo sample built in, and originally we were going to use this as a last resort spare signal. However we found that it combines very well with the newly installed Helpinstill Piano Sensor and an ambient mic, a Shure MC50b hanging inside the lid. Gone are the days of low end feedback, hi pass filters up on the mics, let the sampler do the bottom end. The Fender Rhodes is mic-ed with 2 SM57s one on each speaker. Both the Piano and the Rhodes move into the centre of the stage during the bands performance, therefore they are equipped with an umbilical containing the audio, video and power requirements. There are various other midi-controlled keyboards dotted around the stage ; the sampler rack, which lives off to the side of the stage, controls them all. This unit also controls the drum samples. There are a total of 12 lines of information coming to me for different songs from this unit. In the centre is Thom, he has a Vox AC30, mic-ed with a Sennheiser 609, apart from an array of footswitches, he has a control unit off stage. 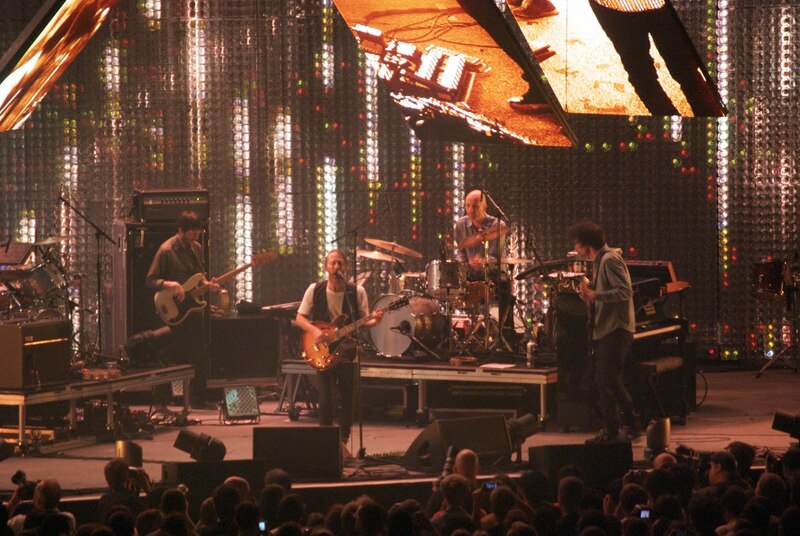 Ed, on Thoms right, uses a Mesa Boogie, mic-ed with A Sennheiser 609 and a Vox AC30 mic-ed with a SM57. There is also a DI effect line. There is a mountain of pedals and off stage control involved. To Thoms left is Jonny ; he uses a Vox AC30, mic-ed with a SM57, and a Fender 85, mic-ed with an Audix OM5. There is again a DI line for effects, and 2 lines from laptops, one of which is offstage. Again a huge array of pedals but with no off stage control ! All of these inputs end their connection at the splitter box (also known as the stage box). We have 2 off these on the Radiohead set up. One has 56 inputs and the other has 20, this is more than we need and allows for some degree of flexibility. This is what the splitter box does ; on the stage side there are all the input connections, on the reverse there are 4 multi-pin outlets, between each input and output there is a small isolating transformer, these lower the possibility of interference. The first output supplies all the input channels to the FOH Digidesign conversion racks, the second goes to my conversion racks for the monitors, The third is for the on stage technical mixes and the forth is used if we are recording the show for a TV or radio broadcast. The technical split was an idea developed as we expanded the monitor system at the outset of the Hail to the thief tour, it was based on the original idea from Duncan who had previously split his four main channels to a small mixer so that he could check that Jonny was OK during the show. Also, because there was so much backline equipment on the stage it meant that the crew were forever coming over to me to listen to their instruments if they suspected that there was a problem. There was a need for them to be able to hear selected channels during the show. This is what we designed ; the 48 lines from the main splitter are sent to a patching system that allows for any 12 channels can be sent to 4 separate locations on stage. At these locations, where the backline technicians live, there are small 12 channel Soundcraft Spirit desks and self powered JBL speakers. This has also proved invaluable one unforeseen reason ! Everyone now has Thoms vocal line on their speaker for the sound check so they can here him announce which song they are going to do next, this has made sound checks a lot faster, as now we all know when, for example, the piano needs pushing over to the centre of the stage. Once this system has been patched it has its lid left on for the tour ! All we need to do is to connect one large input cable and 4 small outputs ! One of the 4 systems has been commandeered by Ed, the 12 way desk is housed in the top of his FX rack, this is one point where he can pick up information being played by the other musicians on stage. Line 48 ! This is the only line on the input list that I have not mentioned. This is for the technical communication system. Microphones, positioned at the front of house mixing desk, the monitor desk, the sampler rack and an on stage wireless microphone system are sent to a small mixing desk, mixed down to 1 line and sent to line 48, this signal is also sent to an on stage wireless in-ear system used by myself and Clive. This means that line 48 can be picked up everywhere on stage using the technical mix system. There are 2 different ways in which I provide the musicians on stage with the information they require in order for them to perform. The first is using speakers on the floor, these are called wedges, and they contain both a large speaker for creating the bass part of the sound and a small speaker for producing the high frequencies. On this tour these were provided by Firehouse productions from New York. Secondly, in-ear monitors, which are custom, moulded for the individual musicians and are mixed in stereo. Radiohead use a combination of both of these, each member has determined over the years as to how they want to hear their mix. Jonny only uses wedges, 1 in front of each of his guitar pedal boards and a third behind him for when he is playing keyboards and operating his drum machines. He has very minimal requirements and likes everything quite quiet ! He has a small amount of kick drum and snare drum, piano, acoustic guitar and a touch of Thoms vocal. 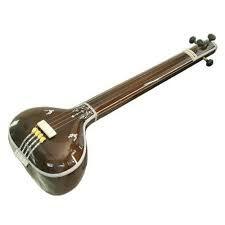 He also has his own guitars and keyboards. Jonny also wears custom moulded ear defenders to cut down the overall level of sound. Once he is set up and running he doesnt require many changes during a show ! Ed uses a combination of floor wedges and in-ears. He uses off the shelf Shure E5s for his in-ears and has recently converted to Shures new E500s. The wedges are mainly used for kick and snare drums. His ears are mixed in stereo with different instruments placed at different points in the stereo field to give definition. 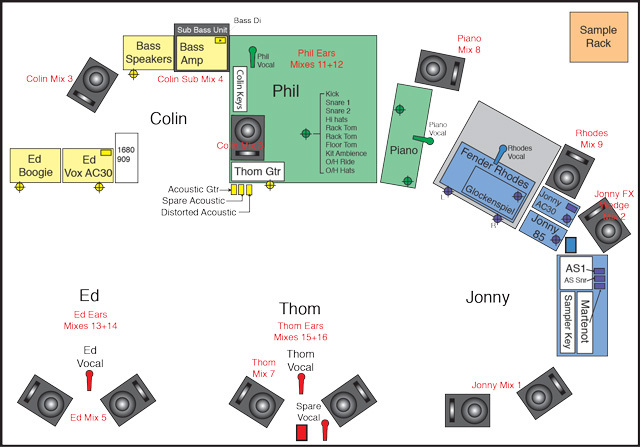 For example he has his guitars in the centre of the mix, Thoms guitar is on the right hand side and Jonnys guitar on the left, the drums are mixed with the kick and snare in the centre and the rest of the kit positioned across them. He has everything from the stage in his ears. Colin uses wedges alone, he has never tried in ears up to now, but has shown a lot of interest in trying them on the next tour. He also has a sub bass unit behind him to add extra weight on the low frequencies, mainly the kick drum and the drum machines. He has a full mix of everything on stage. Phil uses just in-ear monitors. He again has a full stereo mix of everything on stage and as with the other in-ear users everything is positioned in the stereo field as if he was hearing the stage without using any monitoring. Subtle changes are made throughout the show, for example when Jonny starts a song I gently increase his level so he can get the timing correct. 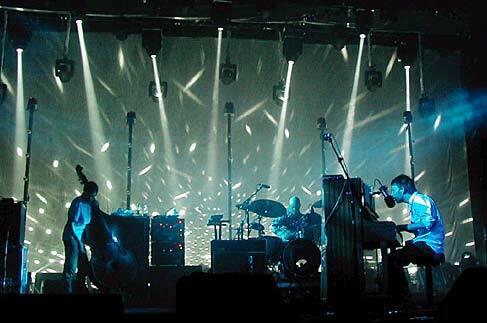 Thom uses a combination of both wedges and in ears. He uses the in-ears like ear defenders and uses them at quite a low level. This cuts out all the stage sounds that he doesnt want to hear. Using the ears at a low level means that he can also clearly hear the wedge mix as well. In the wedges he has all the drums, all the guitars and keyboards and in his ears he has both his and Eds vocals, the acoustic guitar and piano and different amounts of his own guitar depending on the song being played. 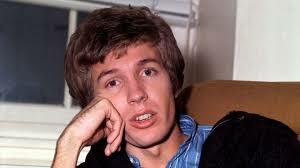 There are also wedge mixes for the piano and the Fender Rhodes. The piano mix has both Thoms acoustic and electric guitars in it for when being played by Jonny. This is the basic layout of the stage, not drawn to scale. When touring this is precisely measured everyday ! For this tour I decided to use a digital mixing console. On Jim Warrens recommendation I opted for the Digidesign D show. This is a fantastic piece of equipment ! Apart from sounding amazing it is not difficult to learn how to use and the facilities incorporated within it are second to none ! I will be using one on every opportunity from now on. En 2006, Thom demande à une association écologiste (Best Foot Forward) de calculer l’impact sur la planète d’une tournée. 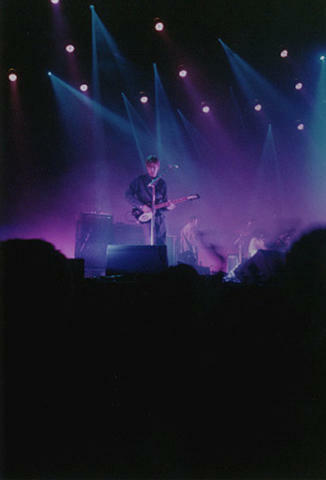 To see how they could play a part in this, Radiohead commissioned a report in 2006 from Oxford-based ecological footprint analysis experts Best Foot Forward, which aimed to quantify the carbon footprint of touring, using data such as how many trucks the band might normally use; how many miles are travelled, how much equipment is transported, and what the audience do to get to each gig. 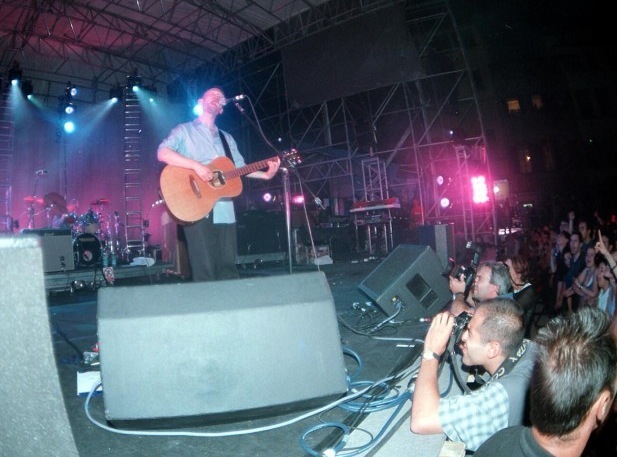 Andi Watson, who helped beta-test the Mac 2000 Wash on a number of Radiohead’s European shows in 2002, and subsequently used the luminaire on the band’s Hail to the Thief tour, has real-world tested the Mac 700 Wash on this latest Radiohead tour (ndlr : en 2006). Watson has the 700 Wash units located on the floor and uses them to uplight cycs and side light the band. « For that the intensity is absolutely perfect, » he says. Lights are positioned at varying heights – in the overhead rig, on drop poles and on the floor – to create different layers of light. Other Mac units in the rig are Mac 2000 Performances, Mac 2000 Washes and Mac 250 Washes along with Atomic strobes. The screens are actually three-dimensional set pieces which were fabricated by Specialz of the UK with all softgoods by Blackout of the UK. Inside each screen are arrayed Color Kinetics iFlex SLX. Ten cameras are used live during the show with video fed to the screens through Catalyst which allows Watson to then play with aspect ratios and distort the images. « Everything is live and nothing has been made in advance, » he says. « We have no pre-recorded content other than textures and graphical shapes. It is very spontaneous and we get some very beautiful effects. » All the video and LEDs are controlled with a combination of Catalyst and PixelMAD systems. Video equipment supply is by XL Video and Scenographic Ltd.
Watson projects colour effects from the Mac 700, 2000 and 250 Washes onto the screens as well. « I point the Mac 250 Washes at the screens, one per screen, and then project a black and white image on the screen so what you end up with is a colorized, dual toned effect. It’s a great look. I also project the 2K Washes onto the screens which is a more shadow and light effect that makes the screens look three-dimensional by creating back shadows. Again, the Mac 700 Washes get used on those too with others lighting the cyc. All washes point to the screens at some point. L’étude de l’impact écologique demandé par le groupe a donné un bilan du transport du matériel par camion + du déplacement des spectateurs… et pour les Etats Unis, les recherches montrent que 86% de l’impact sur la planète provient des spectateurs et leur déplacement en 2006, contre 97% en 2003… la conclusion a en tirer par le groupe est donc qu’il vaut mieux jouer en centre ville et plus dans des petites salles aux abords des cités, moins bien servies par les transport en commun. Par ailleurs, le groupe a alors décidé de massivement informer les fans avant les concerts. According to Young, it demonstrated that trucks moving around Europe or America didn’t have anywhere near as much of an environmental impact as the movement of audiences to venues — especially sites outside of city centres where public transport services are not so reliable. 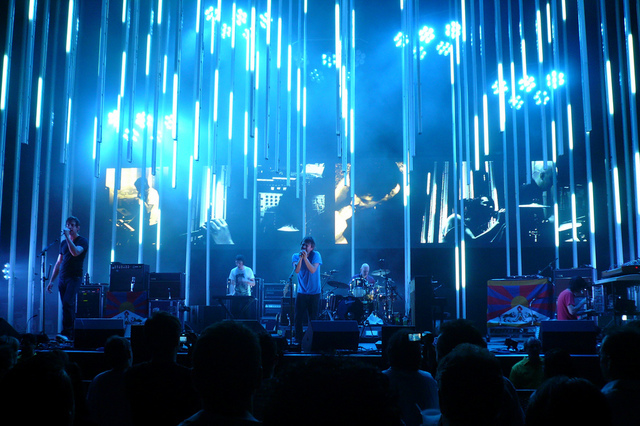 In fact, according to Best Foot Forward’s project consultant, the research found that audience travel and consumption made up 86% of Radiohead’s 2006 US theatre tour footprint and 97% on their 2003 US amphitheatre tour. “The problem with diesel generators is that regardless of whether you’re pulling 100% or 10% of the available power, you’re still pumping emissions. I asked [lighting, video & set designer] Andi Watson if we could run our show without dimmers because they tend to place the most demand on generators. Removing dimmers would mean that we’d be pulling a constant power supply and therefore we’d be able to scale our generator requirement appropriately. “Once Andi understood the importance of what we were trying to achieve, he suggested we completely base the lighting plot around LED sources. Although they don’t pull any power when they’re not on, the power that they draw when they are on is much, much less. In spite of their planet-preserving attributes, LED lights are not to everyone’s taste. Some criticise them for a lack of brightness and colour definition, and will always prefer a molefay. Invariably, those people tend to be LDs of thrash metal bands who wouldn’t know subtlety if it punched them in the face. Young jumps to the defence of Watson’s choice. “I think that Andi’s incredible lighting design proves that you can harness new technology without compromising on the art, and he’s really set a fantastic example. Interestingly, we have no moving lights, which I suppose is rare these days, but Andi’s shown that they’re by no means compulsory. 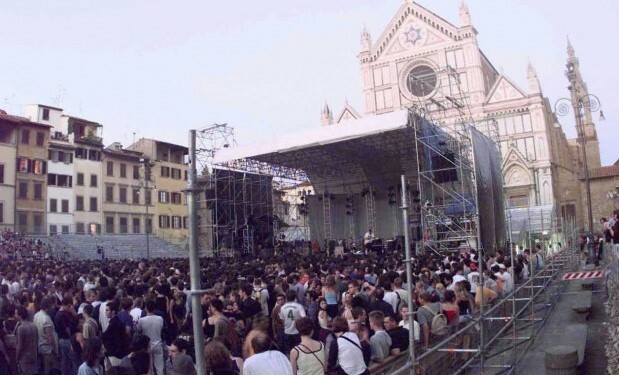 “We’re doing a lot of outdoor shows with early noise curfews, so we’ll start in daylight. As every LD will tell you, competing with the sun is futile, but with the LED sources designed in the format we have, the audience does have something engaging — and colourful — to look at. Richard Young, Andi Watson se rencontrent à plusieurs reprises fin 2007 pour mettre au point une nouvelle façon d’éclairer la scène. Après des tests, on décide de passer aux tubes LEDS, ainsi qu’aux spots LEDs et à la technologie Color® Reach Powercore de chez I-pix. Richard Bleasdale de chez I-Pix est désormais convié aux réunions. Always open to see how the set could be further improved Watson and Tour Production Manager Richard Young were shown pre-production units of the latest LED innovation namely Color® Reach Powercore which can project a staggering 5000 lumens of light over 500 feet. En janvier 2008, Specialz entre en scène afin de réfléchir à un système pour faire tenir la technologie choisie : tout le système d’éclairage est revu, et il utilisera une « forêt de LEDs », pilotées par la technologie Catalyst et PixelMAD (contact du groupe : Richard Bleasdale, qui écrit un nouveau logiciel pour s’accorder à la volonté d’un éclairage 3D). En janvier 2008, une rencontre au sommet réunit tout ce petit monde et le groupe lui-même à qui on présente des schéma de ce que sera la future scène, avec ses LED en tube & en « fleur » de 7 spots… et le système de pilotage de l’ensemble. En février, le marché est conclu, on passe à la réalisation. Mi-mars, c’est terminé et en on envoie par containers aux Etats-Unis (depuis l’Angleterre où le tout a été produit). Needing no further convincing, 5 modules were supplied for the South American leg of the tour by Bristol based Utopium Lighting, the first rental company to fully invest in this ground breaking fixture. En parallèle, un système V9 est expédié des Etats-Unis pour être testé aux répétitions dans les studios Bray qui auront lieu dans la première semaine d’avril 2008, dans la banlieue de Londres. Selon Andi Watson dans le livre, livre « Concert Lighting: Techniques, Art and Business » Par James Moody et Paul Dexter (page 268), la répétition va durer 3 semaines : une semaine où on « construit », une semaine où on programme et une semaine où le groupe répète. Vers la fin, Braine Dacup, un technicien lumière, prend l’avion et s’envole vers Chicago. Upstaging vient de livrer une partie du matériel qui lui a été commandé, et il essentiel que le tout soit testé avant le premier concert en Floride… et il faudra faire vite car il ne reste alors que 2 jours ! 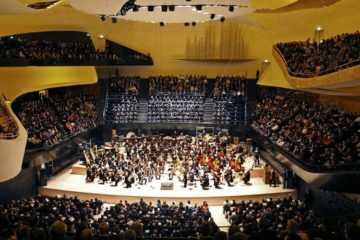 – 48 spots LED BB4 sur les poutrelles. 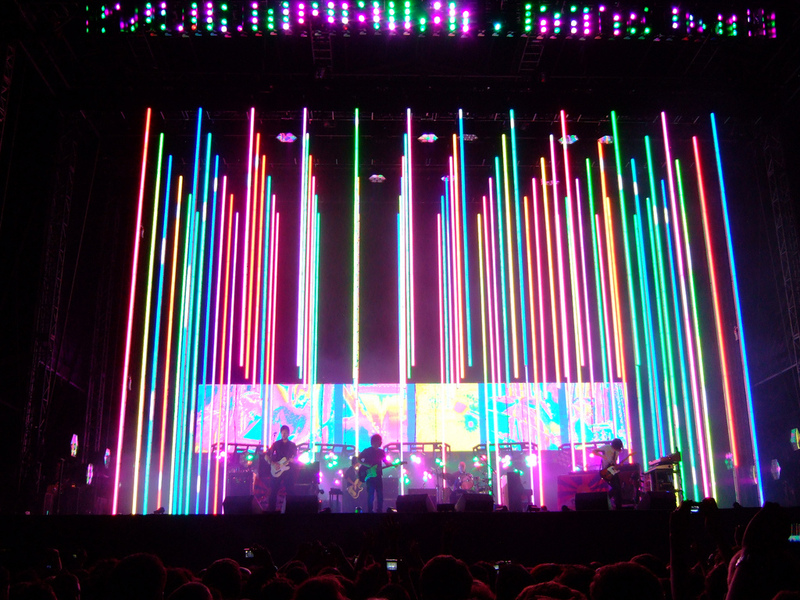 Radiohead lighting and visuals designer Andi Watson is using 48 of the BB7 10 degree spot LED fixtures around his rig – with 25 of the units in five custom 5-way frames produced by Specialz. 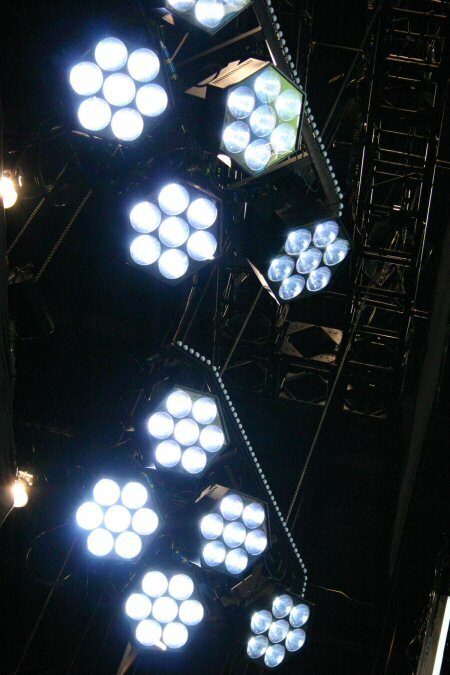 Watson is also using 48 of the new BB4 wash luminaire models on his FOH truss. 25 i-Pix Satellite units with a holographic film are mounted on the floor in and around the backline to light Radiohead at close quarters. Pour la description du matériel, on a de nombreux détails : En Europe, c’est Neg Earth Lights, Upstagings en Amérique du Nord, deux fournisseurs de matériels qui sont choisis. Par conséquent les deux sociétés passent contrat pour l’achat du matériel, designé et pensé par Catalyst et PixelMAD. Neg Earth Lights is the tour’s overall lighting contractor (Upstaging in North America), and Watson’s design has been enabled in a major way by Catalyst and PixelMAD products, and especially Richard Bleasdale who has written new versions of the software that interface brilliantly with the three-dimensional aspects of the production design’s unmissable core theme: the forest of hanging LED tubes. 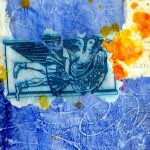 Le choix d’Andi Watson et de Richard Young s’est porté sur les Labs VersaTubes, parce qu’ils se déclinent en de nombreux formats, tout en restant légers et robustes. “After looking around, the Element Labs VersaTubes lent themselves very well to this format as they were were physically the lightest and most robust option available,” said Young. Radiohead’s production hired the services of Specialz, whose technical director, Keith Owen, based the design around a 2m aluminium substrate with two VersaTubes permanently affixed. The substrates were joined together into their show length with a spigot and clevis pin, and are transported in their own custom built dollies. Additionally, the existing VersaTube three-pin mains and four-pin data cables were designed out with a quick release seven-way adaptor, making mains and data connection between the individual substrates very quick in a show-build situation. The deployment consisted of six 56ft heavy duty tab tracks with 12 scenery runners per run, to which the 2m substrates were attached. The tab track was joined by aluminium ‘yokes’ in pairs and attached to three runs of general purpose trussing. Specialz designed three master track ends which travel with the production in which the tab track draw cables, the scenery hangers, the spacing cable and the VersaTube buffer boxes all travel pre-rigged. The other main fixtures come from UK manufacturer i-Pix, whose four-cell 20° BB4 RGB clusters are amazingly bright and do a sterling job of replacing conventional audience blinders on the front truss. In conjunction with Watson, Chris Ewington at i-Pix has developed a narrow-beam [10°] LED spotlight with seven cells [the BB7], and this tour will be the first to use it. “There are currently 98 BB7s in the world and we’re using all of them for this tour!” smiled Young. Et pour parachever l’installation lumineuse, 5 écrans conçus par Philips, mis en scène par Specialzs, surnommés par Andi Watson les « Quins » et pilotés par le système Kinesys (voir ci dessous, Radiohead a quitté Mac Wash pour Kinesys en 2008) . including 25 split into five custom five-way frames — also designed by Specialz and named ‘Quins’. These are Kinesys-controlled flying frames, designed to fly straight out of their transport dollies and retain their show focus. -> Pour les fans de la technologie, un dossier « cas d’étude » de chez Philips. On notera que finalement, le groupe optera pour 6 écrans. Niveau éclairage, I-pix conseille d’ajouter 14 spots holographiques, installés au sol le long de la scène. 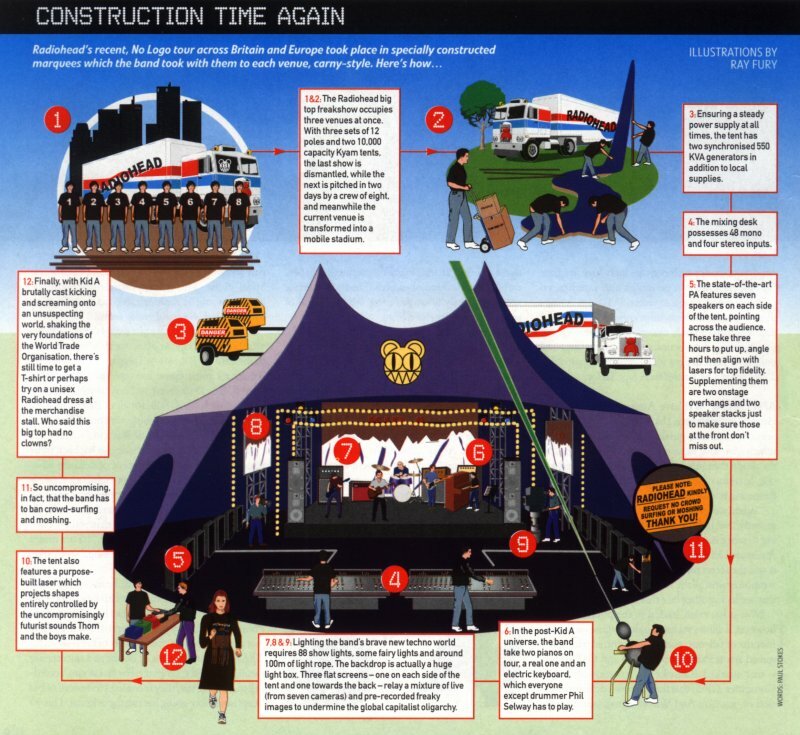 C’est Ewington qui avait remarqué des prototypes lors de concerts aux Etats-Unis en 2007. En 2008, il présentait la nouveauté à Andi Watson et Richard Beller. I-pix a alors reçu une commande de 206 de ces spots (qui seraient partagés entre les scènes sur chaque continent) à honorer en 5 semaines ! Also from i-Pix, there are 14 Satellites with holographic film mounted on the floor, in and around the backline, to up- and cross-light the band at close quarters. This project started when Ewington visited the U.S. last October to see a new prototype narrow optic. He then showed Watson the BB4 which was already in production this January, along with a test rig of the embryonic idea he had for the BB7, without optics. Once the new optic became available, Ewington sourced the first 12 and again met Watson in March, along with Richard Young and lighting crew chief Andy Beller, and showed the first prototype BB7 with the new narrow optic. Watson judged the fixture to be exactly what he wanted, after which i-Pix priced up the project and received an order to produce 206 fixtures (enough for two rigs) from scratch in just over five weeks. The BB4 uses custom Lamina TitanTurbo LED light engine modules — the fixture consumes 120W at 240V, on full power — and the evolution of the BB series produced the electronic and mechanical building blocks that could be applied to the new BB7 using the narrow optic. The BB7 uses the same Lamina TitanTurbo light engine and consumes 210W at 240V. Both fixtures feature 16-bit resolution for finer control of colour choice, which is in the billions. The design period was condensed from six months to four days, the components were produced in two weeks and the units built over two weeks. “It was not a case of penalties for late delivery — we just had to do it,” elucidated Ewington. Other light sources making an appearance in Watson’s design are Color Kinetics iW Blasts — “they provide what is probably the most natural-looking white light from any LED fixture,” said Young — and Pulsar RGB ChromaFloods. The scenic design is completed by Blackout’s provision of black velvet velour truss borders and backdrops, plus a 48′ x 18′ black trevira kabuki reveal drape. Watson controls the entire lighting rig from his favoured grandMA console, and works alongside lighting crew chief Andy Beller and technicians Nick Barton, Blaine Dracup, Tommy Green, Ian Lomas and Ed Jackson, as well as carpenter Johannes Soelter and head rigger Seth Cook. Pour ce qui est de l’automatisation des systèmes d’éclairage, Radiohead met fin, semble-t-il, à son contrat avec Mac wash pour s’offrir désormais les services de Kinesys. 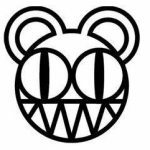 On apprend sur le site de Kinesys beaucoup de détails sur l’utilisation de leur technologie par Radiohead. On sait ainsi qu’Andi Watson, leur designer de l’éclairage, a fait appel aux services de Kinesys depuis au moins 2008, et que c’est Andy Beller qui pilote le système. 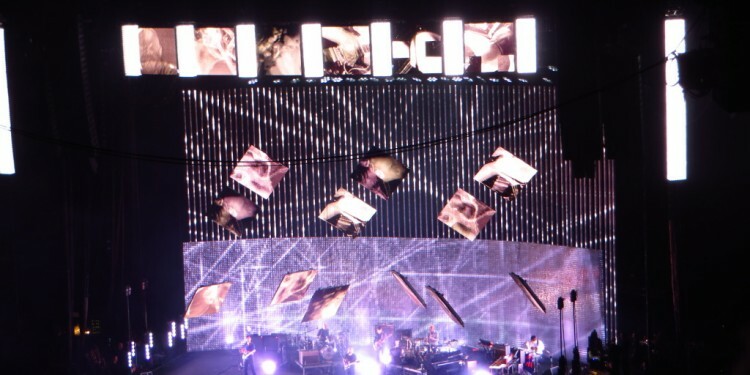 A fifteen point Kinesys automation system consisting of Elevation 1+ drive units and PC based Vector control is being used by on Radiohead’s 2008 world tour. The system was specified by lighting designer Andi Watson and is being operated by lighting crew chief Andy Beller from the side of stage. It has been supplied by rental company Neg Earth Lights who are also providing other lighting equipment to the tour. The whole lighting rig is LED based with no conventional moving lights, so the Quins – moved by the Kinesys system – have effectively become the moving light elements of the show. They are programmed into 30 different presets and move into different positions for each song of the set. Each ‘Quin’ is focused on a different band member. Le système Kinesys a été fourni au groupe par Neg Earth Lights. Pour la sonorisation des concerts en Europe, Radiohead fait confiance à la société de production Adlib Audio (de Liverpool) qui fournit les consoles, le système de monitoring, les microphones… Pour le continent américain, c’est Firehouse Production qui fournit la même chose. 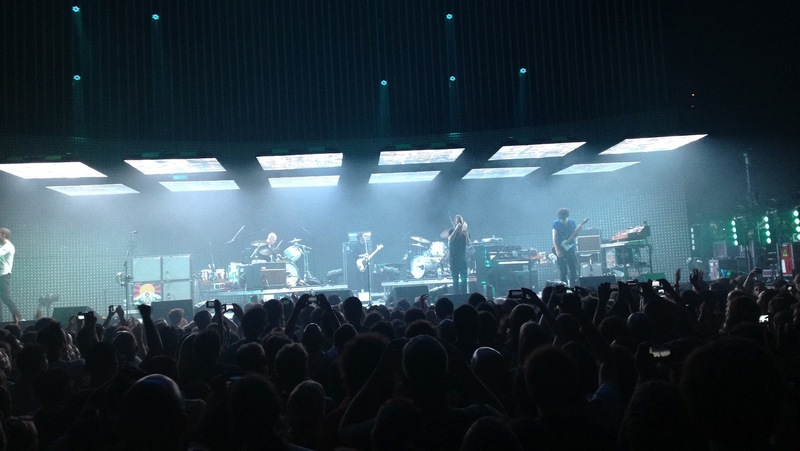 Liverpool based technical solution specialist Adlib’s audio division supplied an L-ACOUSTICS K1 sound system and delays for the European leg of Radiohead’s current world tour. 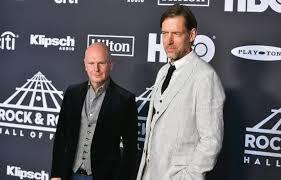 They also supplied two of their top engineers – Tony Szabo and George Puttock – who worked with the Radiohead audio team to ensure that the band’s quest for producing the very best sonic audience experience is achieved. 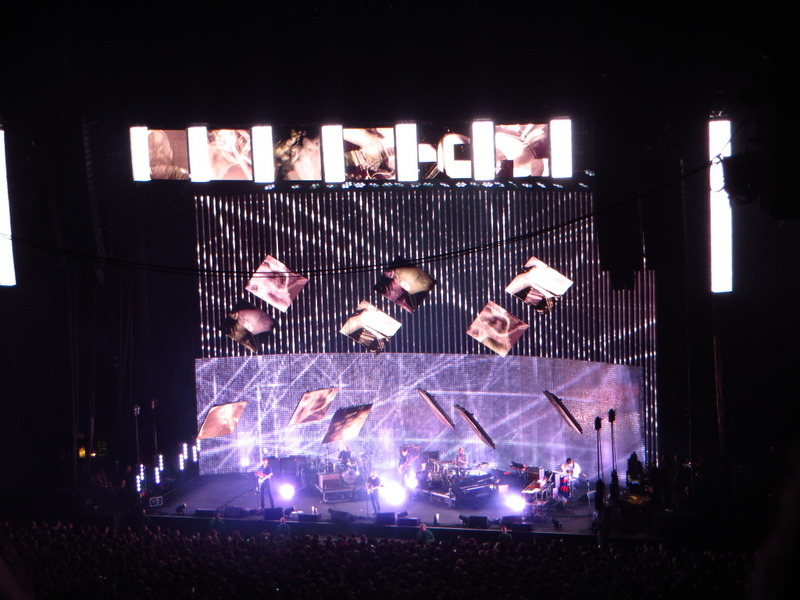 Adlib was asked to provide a quote for the tour by Radiohead’s production Manager Richard Young, and were delighted when selected. Adlib’s Director Dave Jones says “Radiohead are renowned as complete perfectionists when it comes to all aspects of their show and production, so it was a real honour to be chosen to join the team”. On the floor are 24 L-ACOUSTICS SB28 subs in a left-centre-right cardioid arrangement. The delay system is flown just behind FOH, consisting of three hangs, each of nine L-ACOUSTICS KUDO. The corresponding amp racks are flown directly behind each of the delay stacks to give the best sound for the audience, which is always the main concern of the band. 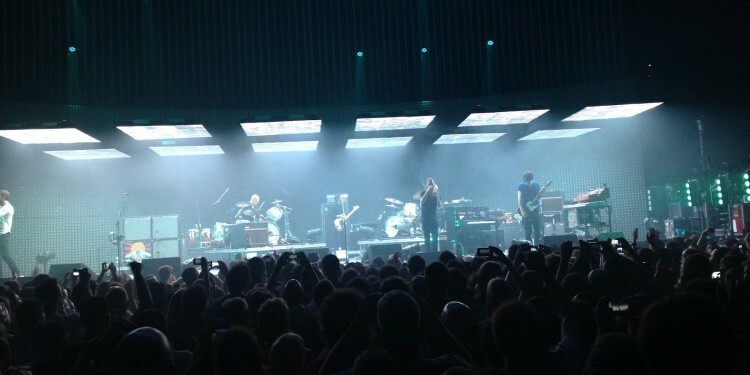 Radiohead are touring with their own FOH control and complete monitor system. Tony Szabo has really enjoyed working to such demanding standards. “The Radiohead crew are all brilliant as well as very talented in their fields,” he comments, “All departments work together symbiotically and it’s a big collaboration which produces an amazing end result”. On the band’s previous North American trek in 2008, Firehouse officially put K1 through the world’s first high-profile tour run. Richard Young, le manager des tournées du groupe, nous apprend dans cet interview donnée à TPI magazine que c’est la société Sound Moves, et en particulier l’agent Andy Lovell qui s’occupe qui de la logistique du matériel du groupe lors des tournées. En 2008, comme tous les autres interlocuteurs de Radiohead, il a du suivre les exigence écologistes : faire naviguer le matériel vers les Etats-Unis ou le Japon au lieu de le faire voler. Le groupe collabore alors Maersk (bateaux). Arguably the most significant move of all, encouraged by the Best Foot Forward report, was to adopt a ‘minimum air freight’ policy, said Young. The ‘safer’ standard elements, like PA, consoles, motors, truss and microphones, are being rented locally, but elsewhere, the answer was to source the nearest possible duplicate set of everything — backline and lights — to send in a container via sea freight to America, and then on to Japan. Young: “All the equipment we’re using in rehearsal will remain in the UK for our shows here. With the sea route, it’s important to make allowances for any possible delays — and believe me, delays are very likely! The crew weren’t taking any chances. The container was sent early enough for it to arrive in Miami on April 21. Young continued: “Some might argue that, other than the vintage equipment, we’re adding to our carbon footprint by manufacturing certain elements of our duplicate kit, but what they fail to appreciate is that all of this kit will be reused, time and time again. “On balance, I think we’re being a lot more responsible. We estimate that we’ve cut our normal air freight package of 20 tonnes down to a mere one tonne, and that’s made up of the 12 vintage guitars that the band will not go on stage without. “Andy Lovell at Sound Moves is our regular freight agent, and I think the whole sea freight operation for this tour has proved to be as much of a learning curve for him as it has for us, because air freight has been the tour standard for so long! Le transporteur camion choisi est toujours Mac Guinness pour l’Europe. Les fans de Radiohead passionnés de camions (et on les salue !) seront sûrement ravis d’apprendre qu’en 2009 McGuinness a renouvelé ses camions pour choisir 6 nouveaux Volvo qui respectent au mieux la planète : « six Volvo FH-480 4×2 Euro 5 powered extra-low height tractor units (..;)The new trucks were specified with full air suspension on tractors and trailers as well as I-Shift transmission and Globetrotter XL cabs. All feature SCR technology to achieve compliance with Euro 5. The new Volvo’s bring the McGuiness fleet up to 23 plus 50 specially-built step frame and flat floor box trailers (made by Montracon and Talson). 2012 est une année noire pour radiohead, puisqu’en juin, quelques heures avant un concert à Toronto, la scène va s’effondrer blessant et tuant… En moins de 3 mois, tout va être reconstruit à l’identique pour reprendre la route dès octobre. Après l’effondrement de la scène en juin 2012 à Toronto, il a fallu tout reconstruire dans l’urgence en 14 semaines… et ce fut mission impossible pour Kinesys, qui de plus ne faisait pas de prêt de matériel. RED HOOK, New York — Radiohead recently embarked on its first North American tour in four years and is firing on all cylinders with a full L-ACOUSTICS K1/KARA/KUDO system supplied by Firehouse Productions of Red Hook, NY. The North American portion of the tour, which kicked off at Miami’s American Airlines Arena on February 27th, is divided into three legs, the last of which will wrap up at Toronto’s Downsview Park on June 16th before heading overseas to Europe, Southeast Asia, Japan, New Zealand and Australia. For most of the arena stops on the domestic tour, Firehouse is deploying left and right arrays comprised of 14 K1 line source elements with four KARA hung below for downfill. Coverage for the far left and right audience areas is addressed by outfill arrays featuring 10 K1 with six KARA flown beneath. Sub arrays of eight K1-SB are flown adjacent to both of the primary K1 hangs, while 24 SB28 groundstacked in cardioid mode bolster the low-end reinforcement. Horizontal arrays of four ARCS on each side of the stage provide nearfill, as do six dV-DOSC spread out across the stage lip. For larger venues, Firehouse deploys a delay system exclusively comprised of KUDO featuring left, center and right arrays of nine enclosures each flown in back of the FOH mix position. Amplification and processing for all loudspeakers is provided by LA8 amplified controllers housed in LA-RAK touring racks. At the helm of the system each night is Radiohead’s longtime FOH Mix Engineer Jim Warren, supported by System Designer/Engineer Sherif El Barbari and Firehouse System Tech Jamie Pollock. At Warren’s request, the tour’s mix position is also equipped with a pair of self-powered L-ACOUSTICS 108P and single 115P low-frequency extension cabinet. This small system acts as a reference when working on the mix from ProTools during the day as well as serves as a monitor during the show. A third 108P at FOH acts as a shout system for communication with the monitor mix area. 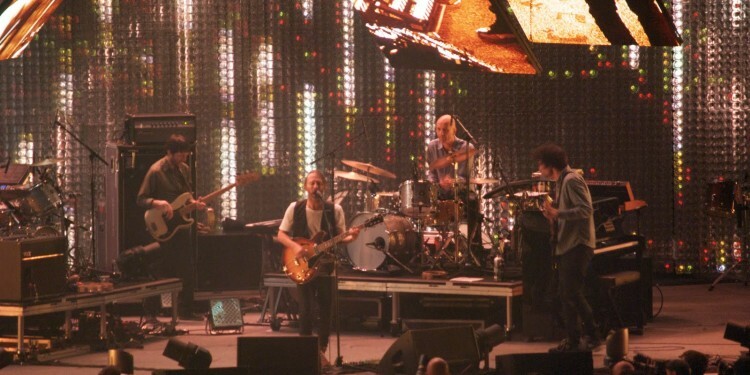 According to Rolling Stone magazine’s website, Radiohead front man Thom Yorke revealed that the band has worked up more than 75 songs for this tour, including additional new songs and deep-track B-sides. On the band’s previous North American trek in 2008, Firehouse officially put K1 through the world’s first high-profile tour run. According to El Barbari, who was extremely pleased with the results then, this year’s outing is even better thanks to the addition of KARA, digital AES cards for the LA8s, and the use of the new LA NETWORK MANAGER 2.0 software. Following the North American leg, the tour turns to Liverpool-based Adlib Audio to provide a similar PA for the European and UK portion. Firehouse, however, will continue to supply the control for the full duration of the international tour. LS-Live is Europe’s biggest and best production rehearsal arena complex based in Wakefield, West Yorkshire. Voted Favourite Rehearsal Facility and Favourite Staging Company at the prestigious TPi Awards 2013, our 30,000 sq ft site in Wakefield offers a one-stop-shop rental solution for staging, set design and construction, automation and studio rehearsal space for the concert touring, TV & film, festival, experiential and installation sectors. Our team’s knowledge of the industry and can-do attitude have afforded us a client list that includes The Stone Roses, Jay-Z, Kasabian, Robbie Williams, J-Lo, Dizzee Rascal, The BBC and ITV. Pendant l’été 2012, Richard Kent et Richard Young ont décidé de faire appel à ses services pour la première fois (du moins semble-t-il…) car il fallait dans la précipitation recréer toute une scène. En effet, en juin 2012, juste avant le concert de Toronto, la scène s’était effrondrée, blessant et tuant des roadies… Le délai était cours, le groupe voulant reprendre la tournée dès octobre. With no drawings of the original set available, the LS-Live team had to start from some photographs, what they had been told and the wreckage. The six winch frames from the upstage row in the roof had badly bent side plates and the six downstage ones that took most of the impact on collapse were completely buckled. Due to our decades of experience in aluminium engineering, structural design and set fabrication, we were brought in during the early stages of the rebuild to provide our expertise. Demanding in terms of time, logistics and complexity, the project challenged all of LS-Live’s resources across a period of three weeks, involving structural assessments, re-drawing detailed components from scratch, reverse engineering, testing, manufacturing, modifications and final assembly. Having evaluated the damage to the winch frames, main truss syste, flying video screen and transport dolly, our team of structural engineers and designers began to create drawings of the original set from scratch, making alterations along the way. We stripped the winch frames to analyse what was damaged beyond repair, removing all slewing motors and gearbox assemblies in the process. We measured and redrew all the components, incorporating requested modifications to video tile positions and cable routing. We used new aluminium for the new winch frames, cut using a specialist abrasive water jet technique because they were too thick for laser cutting. After machining, we assembled the complete winch frames, installing fully tested slew motors and NDT (non-destructive testing) crack-checked cable management reelers. LS-Live also re-designed the main truss system, to improve access and installation of the winch reels. We worked with independent structural engineer Lee Coverley to ensure the new designs could safely accommodate the weight load, before commissioning James Thomas Engineering to manufacture the system. 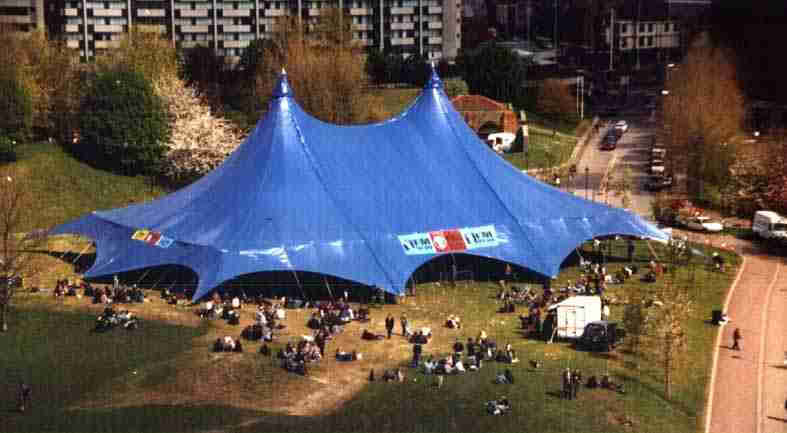 Finally, we supplied a 60ft by 32ft rolling house stage for the remainder of the tour and two 24ft by 12ft side LiteDeck platforms for the technicians. All was delivered on time and in budget after an emotional few weeks. Au final, une scène plus belle et plus solide a été livrée à temps, grâce au travail d’ingénieur engagée pour l’occasion. The company worked with independent structural engineer Lee Coverley to ensure the new designs could safely accommodate the weight load, before commissioning James Thomas Engineering for the manufacturing. “All at LS-Live had mixed feelings about this project,” structural and mechanical engineer, Mark Blount, said. “We’re very proud of what we have achieved, but Scott Johnson died in that stage collapse. You can mend metal, but that won’t bring him back. Pour la fourniture des éclairages, la société Neg Earth Lights a été particulièrement sollicitée dans la précipitation par Richard Young pendant l’été, après le tragique et meurtrier effondrement de la scène en juin 2012 à Toronto. Pour l’automatisation des éclairages, en 2012, Radiohead avait choisi Kinesys. Toutefois, l’effondrement de la scène en juin 2012 à Toronto les a obligés à faire appel en précipitation à Stage Technologies, qui a su répondre en 30 jours à la demande. Rare d’avoir de si précieux renseigenements sur la façon dont radiohead se produit. 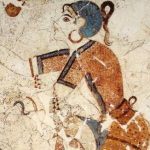 C’est très souvent source de curiosité et je ne savais pas qu’il existait un tel article!